After watching for a few minutes, I figured out what was going on. 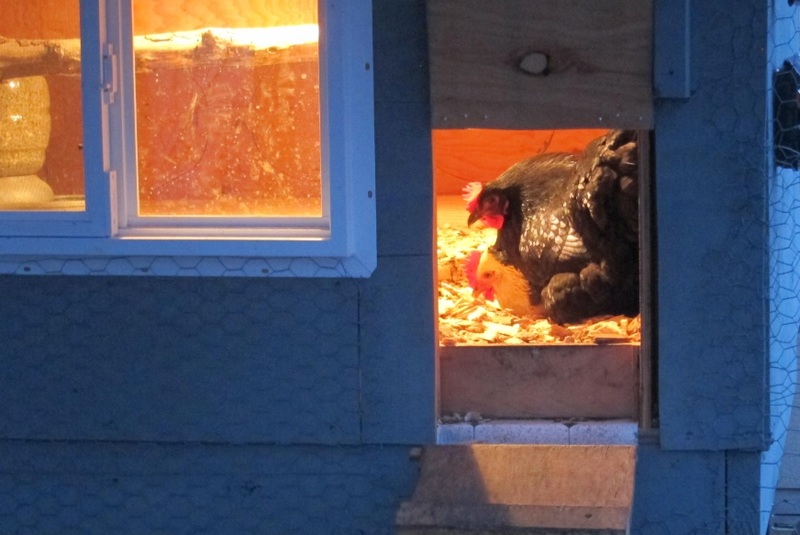 Two of my backyard hens like to lay their eggs right in the entryway of the coop. 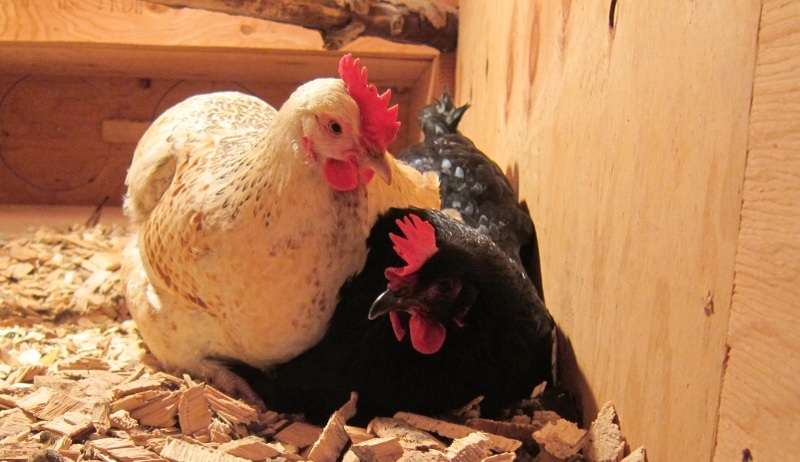 But this is what happens when chickens who share a common favorite nesting spot need to lay at the same time. They were both too stubborn to move and lay their egg elsewhere! 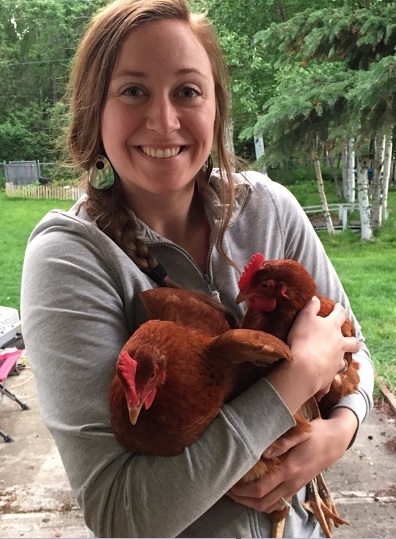 These two ladies were hatched within days of each other and grew up together. They get along very well, and they’re gentle with each other. But they were both trying to sneak their way to the bottom of the chicken pile to get that prime laying spot. It went back and forth, who was sitting on the nest and who was trying to squirm her way to the bottom. After the white hen (named Owl) scooted her way to the bottom to lay, it seemed as though the black hen (named Blackie) resorted to annoying her way into the laying spot. This video is adorable – I’m not sure if Blackie is trying to be helpful and clean Owl’s face, or if she’s trying to be irritating, but they definitely have a sisterly bond. Blackie repeatedly pecks at Owl’s face. Eventually, Blackie wormed her way back to the nesting position. Owl continued to sit on top of her, stubbornly refusing to accept defeat.